All chairs in the Relax2Zero series are uniquely designed to address the need we all have for a relaxed body, reduced stress, and improved posture. The latest model in this series, the Relax2Zero 3D offers advanced technology and special therapeutic features that together deliver the most advanced full-body massage therapy. Regular use may reduce symptoms of stress, relieve pain, enhance circulation, ease insomnia, improve flexibility, increase mental awareness, and encourage relaxation. If you are interested in purchasing a Relax2Zero 3D or in finding out more information, please call 1-800-241-2221. The Relax2Zero 3D features the next generation of 3D massage rollers. We wanted to make our massage roller technology go beyond gliding along a single surface. With this model, an extra plane of movement allows the massage rollers to follow that natural contours of your body, which is why we've named it 3D. Customize the experience further by selecting up to 5 intensity levels for the ultimate full-body massage. By selecting the EXTEND pre-programed massage, you will experience our signature Power Stretch Combination. Combining all the benefits of inversion stretching, therapeutic heat, and airbag pressure results in the perfect stretch-massage experience. The Power Stretch Combination is an effective technique for relieving lower back pain. The Inversion Stretch technique elevates the legs, then bends the calves downward at the knees, which stretches the lower back. This stretch takes gravitational pressure off of the spine and helps increase the space between vertebrae. Before your massage starts, the 3D Body Scanning System maps your entire back to ensure massage accuracy and efficiency. 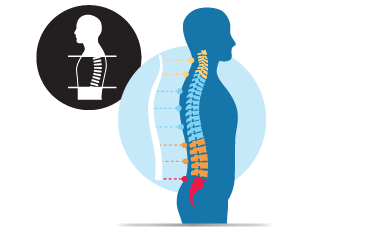 This system ensures a massage that is contoured to the unique curvature of your spine. Designed to massage the back with maximum precision, the S-Shaped Massage Track maintains the proper curvature of the spine. The therapeutic heat function located at the lumbar region provides soothing relief from back pain. Heat therapy helps ease tension and stress, and is also great for relieving arthritis pain and sore muscles. 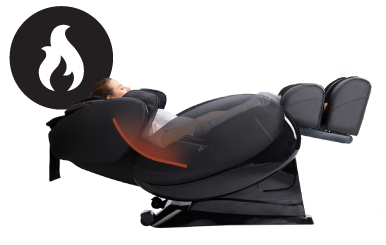 The Zero-Gravity Experience shifts the seat to one of two positions, distributing body weight and reducing pressure throughout the body, which results in a floating sensation. Zero Gravity Position 1 removes all stress on the muscles to achieve a weightless environment. Zero Gravity Position 2 also removes stress and further elevates the legs above the position of the heart. Built into the chair are 40 Airbags that rhythmically inflate and deflate during your massage session. These airbags gently stretch muscles to ease tension, improve circulation, and ease body fatigue. The airbags located on the shoulders, around the arm, and under the thighs and calves generate a full-body stretch. The airbags in the cushioned headrest inflate and deflate to gently stretch the neck from side to side, while rhythmically squeezing and releasing muscles along the neck and shoulders. The airbags located underneath the seat and along the thighs work in unison with the seat's swinging and twisting movements. This special twist-seat function relieves stress on the pelvis and eases stiffness of the buttocks and thighs. The Relax2Zero 3D features a mechanized leg extension to customize the lower-body massage features for varying heights. With a push of a button, the foot massager slides in and out up to 5.5 inches to ensure a comfortable experience for users of any height. Drawing on the principles of reflexology, our foot rollers stimulate nerve endings on the pads of your feet to relieve tension, improve circulation, and renew vitality throughout the entire body. Three distinct foot rollers target the specific needs of all parts of the feet. 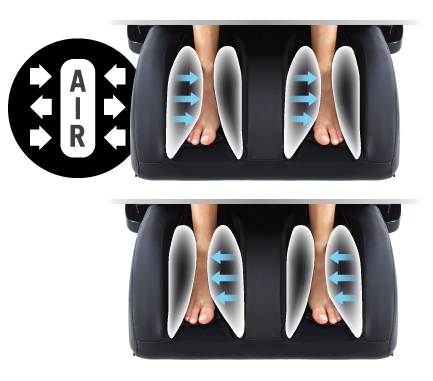 Powerful airbags squeeze the calves to relieve tension and improve circulation, while multiple foot rollers stimulate reflexology zones on your tired feet. The built-in ankle grips cradle your ankle in place to thoroughly massage the foot soles, ankles, and calves. Optional Foot Pads are included to adjust the pressure of the foot rollers to your personal preference. With them, the pressure is gentler for sensitive feet, and without them the pressure is stronger and more direct. Add the benefit of relaxing therapeutic music your massage! High-quality, compact speakers are mounted above the shoulder massagers and are aimed at your ears for a surround-sound experience. Connect wirelessly to compatible devices to play your favorite music. 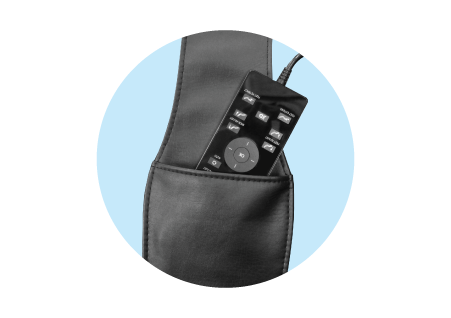 The Relax2Zero 3D features a new remote controller so that you can make adjustments throughout your massage. A simplified design makes customizing your massage easier than ever, and features 27 Automatic programs (6 programs x 3 time settings), along with 3 new 3D automatic programs (3 programs x 3 time settings). 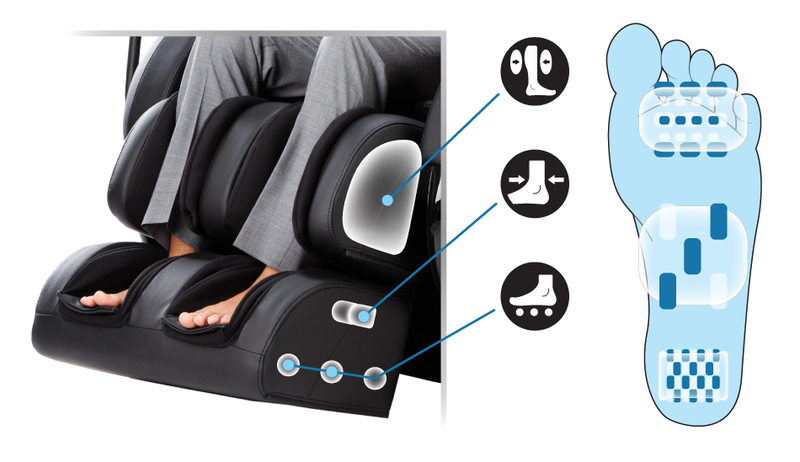 Or, choose from the manual massage modes for full control of your massage chair's features. Three innovative automatic programs are specially designed for the new 3D massage rollers. The Deep Shiatsu mode mimics a professional shiatsu massage.